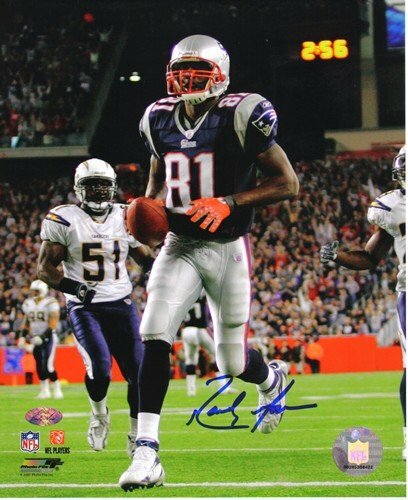 Home / Sports / NFL / New England Patriots / 16x20 Photos / Randy Moss Autographed/Signed New England Patriots 16×20 NFL Photo "Touchdown"
A NEW ENGLAND PATRIOTS 16X20 NFL PHOTO HAND SIGNED BY WIDE RECEIVER RANDY MOSS. 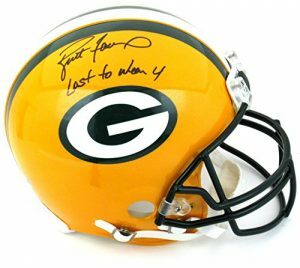 THE PHOTO AND SIGNATURE ARE IN EXCELLENT CONDITION. 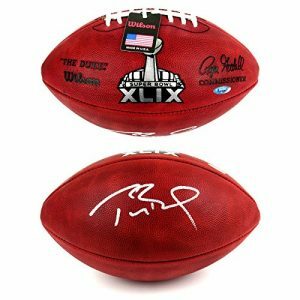 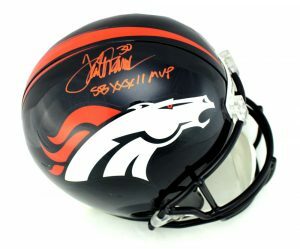 RANDY IS A 7X PRO BOWLER 5X ALL-PRO 2003 NFC PLAYER OF THE YEAR NFL RECORD HOLDER FOR MOST RECEIVING TOUCHDOWNS IN A SEASON AND RECORD HOLDER FOR MOST RECEIVING TOUCHDOWNS IN A SEASON BY A ROOKIE. 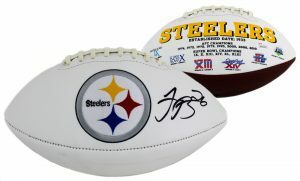 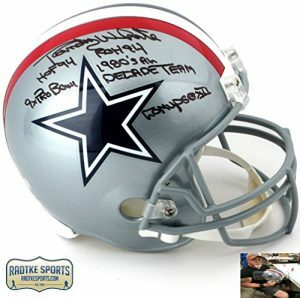 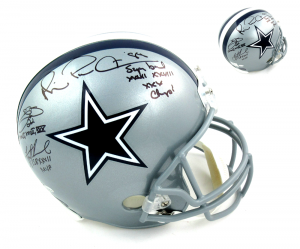 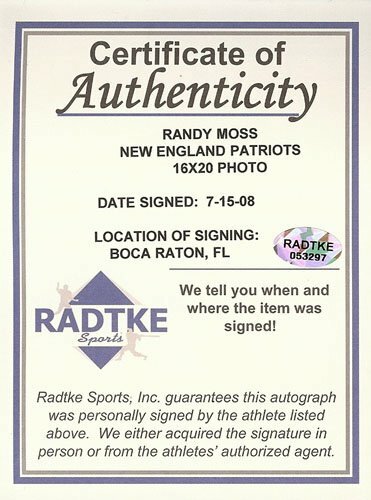 AUTHENTICATION: THE PHOTO IS ACCOMPANIED BY A RADTKE SPORTS CERTIFICATE OF AUTHENTICITY MATCHING SERIAL NUMBERED RADTKE SPORTS HOLOGRAMS AND A PICTURE OF RANDY FROM THE SIGNING.